AJ Tensile » One of our canopies just doing its job..! YOU ARE HERE: AJ Tensile Manufacturing > News > Manufacturing > One of our canopies just doing its job..! One of our canopies just doing its job..! 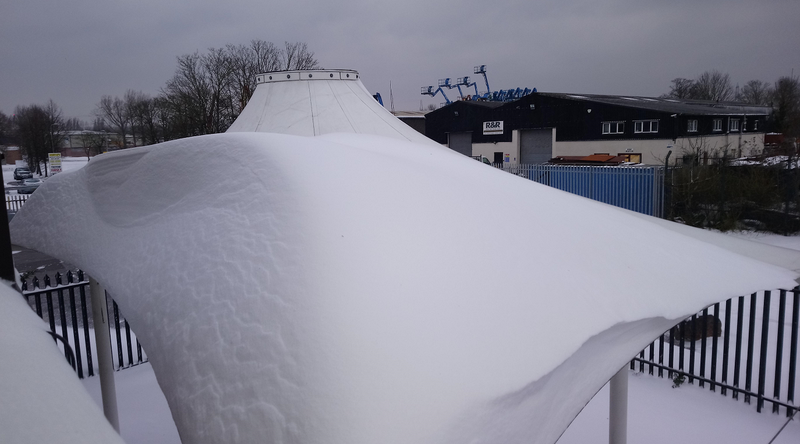 Keep the snow off the entrance to your building with a canopy by A J Tensile Tension Structures Ltd.